Late Venezuelan dictator Hugo Chávez poured over seven million euros into the creation of a political party in Spain run by “natural allies of the Bolivarian revolution,” according to a 2008 document appropriating Venezuelan funds to the leftist professors who would become the leaders of Podemos, now Spain’s largest third party. 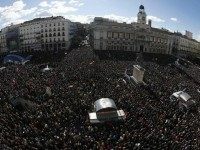 The radical leftist party Podemos (“We Can”) that took Spain by storm last year is suffering major poll losses leading into Spain’s parliamentary elections in November, a new government poll shows, as Spanish observers grow wary of socialism following the decline of the Greek economy. 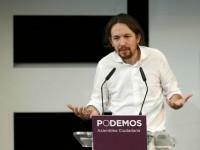 Spain’s new radical leftist party, Podemos (Spanish for “We Can”), is embroiled in a new corruption scandal, this time accused in a complaint by the attorney coalition Clean Hands (“Manos Limpias”) funding itself with “undeclared” Venezuelan money acquired during “diplomatic” trips to the socialist nation.